With our ever changing markets and more and more people using their smart phones and cellphones to access the internet each company and website needs to be optimised for all PC, Mobile, Laptop and tablet. To be competitive in this market it is crucial to have an online presences that is optimised for mobile devices and physical machines. 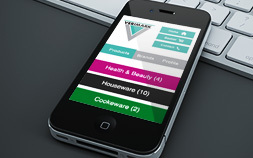 JH specialises in developing single systems with full custom MOBI and Web presence built into 1 solution. No need to get different development studios to work on each and end up with 2 disconnected systems that both don’t work really well. At the moment there are interesting debates between MOBI sites and Mobile Apps. The only time a MOBILE app is needed is when you wish to keep data and functionality offline. With data increasingly becoming cost effective and most smart phone users being always on we feel that a MOBI site is better. All sites that JH develop always will work on all mobiles and ipads but JH also specialises in developing MOBI sites. Our MOBI sites integrate seamlessly into the website infrastructure so that the user experience is the same and the MOBI site works just as well as the full site. It is important for the development company you chose to know and understand the differences of websites and MOBI sites as well as how the users behave and what they expect from the 2 different mediums. Our MOBI sites are built for optimum MOBI use and dynamically scales to fit IPODS, IPADS, Different Tablets, Smart phones and websites. If you require some assistace, please don’t hesitate to contact us.